Our adult range offers a range of benefits with specific formulations individually developed to address needs such as physical performance and endurance, pre and post exercise hydration, mental agility, immunity and weight management. Adult drinks are available in most regions in 500ml and 330ml servings and all are suitable for persons 11 years and older. Although kids are generally less compromised by physical and mental stress – we need to take extra care in what we give them. By keeping away the bad stuff and giving them clean building blocks, we ensure healthy hydration that boosts their immunity. Giving them everything they need to just be kids. All our Kids drinks are available in 330ml servings only and are suitable for persons 4 years and older. This is our energy release formula. Stream Energize contains Vitamin B for a controlled energy release, Panax Ginseng and Siberian Ginseng to support stamina and endurance, and Guarana to improve concentration. A South American fruit found in the Amazon jungle that is traditionally used as an energy tonic with several compounds including caffeine that act together to boost mental alertness and energy levels. Found in Asia, extracts from this root are considered an endocrine tonic which enhancephysiological response, heighten alertness and support physical stamina and athletic endurance. Used for centuries in Russia and China as an ‘adaptogenic’. 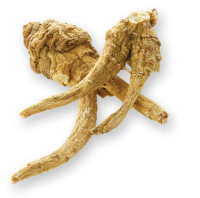 Extracts from this root are said to boost immunity, restore vitality and increase stamina. These 8 selected B vitamins help the body’s cells effectively burn carbohydrates, fats and proteins to ensure sustained energy yielding metabolism. Vitamin B12 also helps with red blood cell formation and nourishes the nervous system. Natural mineral water, Isomalt, Guarana, Panax ginseng, Siberian ginseng, Flavouring, Citric acid, Sucralose (Non-nutritive sweetener), Vitamin premix (Contains: B1, B2, B3, B5, B6, B9, B12), Natural colourants. What does energize do for me? A mental fitness formula. Stream Focus contains 4 nootropic extracts that help improve memory recall and brain function – increasing your concentration levels. Found in Asia, extracts from this root are considered an endocrine tonic which enhance physiological response, heighten alertness and support physical stamina and athletic endurance. Can enhance memory, concentration and cognitive speed. It promotes circulation in the brain and protects it from neuronal damage. Combined with Panax Ginseng these benefits are multiplied. Has been proven to extend the life-span of human cells by approximately 14%-23%, by activating the Sir2 gene. Also improves circulation to vital organs. Used to form phospholipids that work as cell mediators for signal transduction. Inositol is needed for the proper functioning of our brain and for nerve growth and nerve communication. Natural mineral water, Isomalt, Inositol, Panax ginseng, Ginkgo biloba, Green tea extract, Flavouring, Citric acid, Pantothenic acid (Vitamin B5), Sucralose (Non-nutritive sweetener), Resveratrol, Angelica, Natural colourants. What does focus do for me? A pre & post-exercise hydration formula. Stream Hydrate replenishes electrolytes lost through sweat in hot weather or during exercise. With added Zinc, Magnesium and Thiamine it enables efficient energy metabolism and optimised physical performance. Needed for the catalytic activity of 100 enzymes it is used for its role in protein synthesis, wound healing and immune function. Zinc is important for optimal physical performance of athletes. Essential for electrolyte absorption and muscle relaxation and is an essential co-factor for several sport related biochemical reactions. Also known as vitamin B1, plays a critical role in energy metabolism, protects cell structure and maintains nerve conduction velocity. Sodium and potassium are essential electrolytes for the healthy functioning of heart and muscle cells and enhance water absorption. Natural mineral water, Buchu plant extract, Isomalt, Magnesium citrate, Flavouring, Citric acid, Sodium citrate, Potassium citrate, Zinc, Thiamine (Vitamin B1), Sucralose (Non-nutritive sweetener), Sodium chloride, Natural colourants. What does hydrate do for me? A formula that gives you everything. 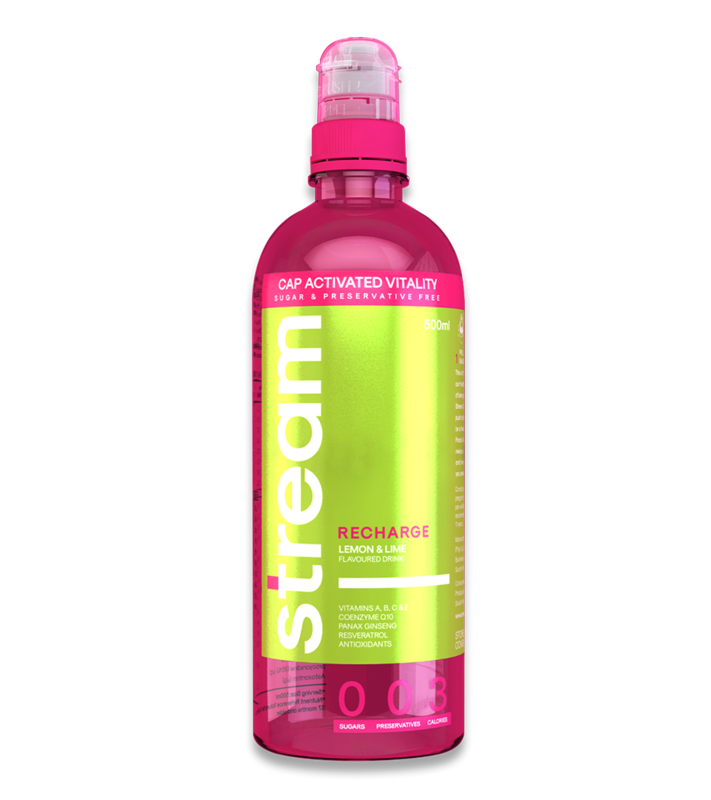 Stream Recharge is packed with Vitamins, Coenzyme Q10, Panax Ginseng and Resveratrol. Giving you controlled energy release, immune system protection, cardiovascular health support and free radical protection. Vitamin A for vision and neurological function, vitamin C for immune function and antioxidant activity and vitamin E as a skin antioxidant that reduces sun damage and prevents pre-mature aging. 8 B vitamins help cells burn carbohydrates, fats and proteins for sustained energy yielding metabolism. B12 helps with red blood cell formation and nourishes the nervous system. Enables mitochondria to produce efficient energy and reduce free radical formation. Q10 is also good for the healthy contraction of heart muscles and has anti-aging benefits for the skin. Natural mineral water, Isomalt, Vitamin premix (Contains: Vitamins A, C, E), Vitamin premix (Contains: B1, B2, B3, B5, B6, B9, B12), Citric acid, Flavouring, Panax ginseng, Antioxidant premix (Green tea extract, Grape seed extract, Astaxanthin), Resveratrol, Coenzyme Q10, Sucralose (Non-nutritive sweetener), Natural colourants. What does recharge do for me? A day-to-day defense formula. Stream Refresh contains Vitamins A, C, D & E as well as Zinc to support your immune system and offer antioxidant activity to fight free radicals. 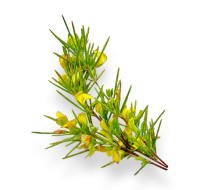 Indigenous to the Western Cape of South Africa this plant extract contains a complex mix of many polyphenols and flavonoids with unique anti-inflammatory and immune system benefits. Promotes the absorption of calcium and phosphates needed for the normal mineralisation of bones and bone growth. Activates ‘soldier’ cells in the immune system. Needed for the catalytic activity of 100 enzymes and is used for its role in protein synthesis, wound healing and immune function. Natural mineral water, Isomalt, Vitamin premix (Contains: Vitamins A, C, E), Vitamin D, Rooibos extract, Cranberry extract, Flavouring, Citric acid, Sucralose (Non-nutritive sweetener). What does refresh do for me? A drink that helps you look and feel good. Stream Revive contains antioxidants, Coenzyme Q10, Resveratrol and Biotin to protect cells, fight signs of aging and help with weight management and heart, skin and hair health. A premix of green tea and grape seed extracts and astaxanthin plus Coenzyme Q10 and Resveratrol. Antioxidants are used for fight damaging particles in the body known as free radicals. 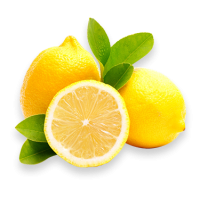 Also known as Vitamin B7, it plays a major part in improving the health of good looking hair, nails and skin. Natural mineral water, Isomalt, Cranberry extract, Vitamin premix (Contains: Vitamins A, C, E), Citric acid, Flavourings, Antioxidants premix (Green tea extract, Grape seed extract, Astaxanthin), Resveratrol, Coenzyme Q10, Sucralose (Non-nutritive sweetener), Biotin, Natural colourants. What does revive do for me? Although kids are generally less compromised by physical and mental stress – we need to take extra care in what we give them. By keeping away the bad stuff and giving them clean building blocks we ensure healthy hydration that boosts their immunity. Giving them everything they need to just be kids. For big, strong warriors. Stream Apple Crush contains very high amounts of vitamin C, naturally sourced from baobab fruit, to boost immunity and Vitamin D & Calcium for strong teeth and bones. Essential for the biosynthesis of collagen (muscle, tendon and blood vessel development), offers powerful antioxidant benefits and boosts several aspects of the immune system. 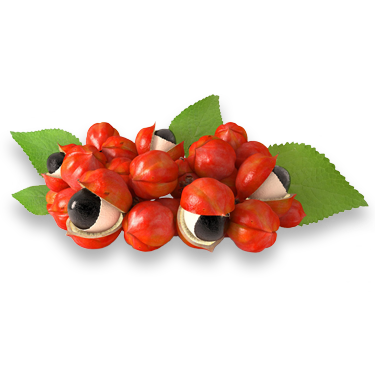 Helps form and maintain healthy skin, teeth, bones and blood vessels, promotes good vision and is vital for the production of anti-bodies. Vitamin D promotes the absorption of calcium and phosphates needed for the healthy mineralisation of bones and bone growth. Zinc is crucial for Vitamin D to get into bone cells. Required for proper muscle function, nerve transmission and to build strong bones and teeth. Natural mineral water, Isomalt, Baobab extract, Citric acid, Calcium, Flavouring, Ascorbic acid (Vitamin C), Sucralose (Non-nutritive sweetener), Zinc, Vitamin A, Vitamin D, Natural colourants. What does apple crush do for my kids? For those big dreamers. 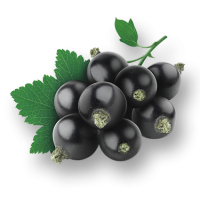 Stream Berry Bliss contains a careful selection of vitamins and antioxidants that help modulate cellular energy, fight free radicals and maintain healthy hair and skin. We’ve combined a premix of green tea, grape seed extracts and astaxanthin with Coenzyme Q10 and Resveratrol. 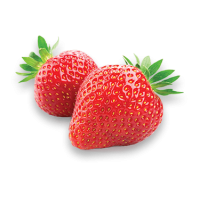 Antioxidants are used for fight damaging particles in the body known as free radicals. Natural mineral water, Isomalt, Cranberry extract, Vitamin premix (Contains: Vitamins A, C, E), Citric acid, Flavourings, Antioxidant premix (Green tea extract, Grape seed extract, Astaxanthin), Resveratrol, Coenzyme Q10, Sucralose (Non-nutritive sweetener), Biotin, Natural colourants. What does berry bliss do for my kids? For kids who captain their own imagination. Stream Buchu Blast contains all the hydrating minerals and electrolytes active kids need to have more fun. Needed for the catalytic activity of 100 enzymes it is used for its role in protein synthesis, wound healing and immune function. Zinc also supports normal growth and development in childhood. 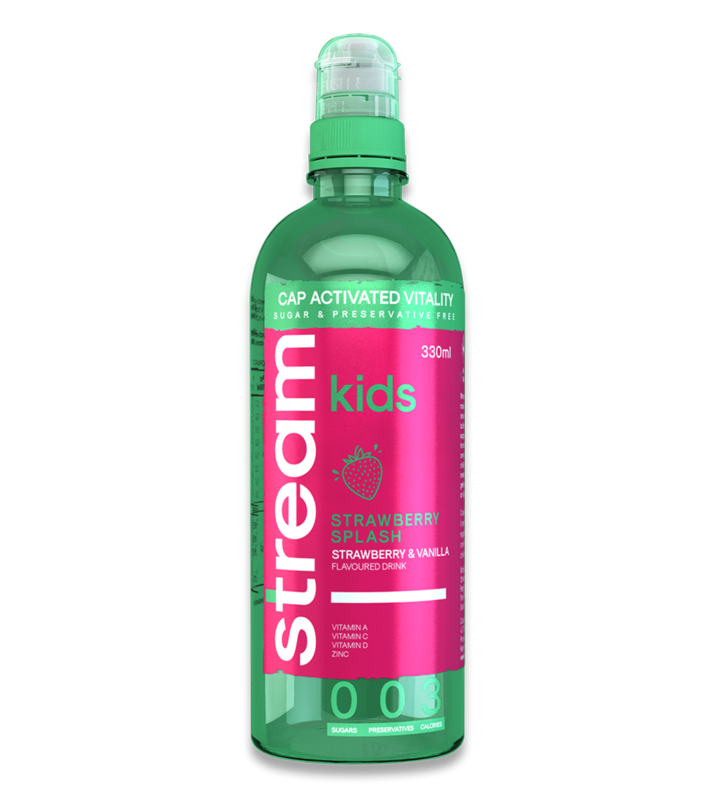 Essential for electrolyte absorption, brain function and muscle development, it is an essential cofactor for healthy biochemical reactions in active kids. Also known as vitamin B1 it plays a critical role in energy metabolism and is essential for nerve development in the brain, heart and musculoskeletal system. Natural mineral water, Buchu plant extract, Isomalt, Magnesium citrate, Flavouring, Citric acid, Sodium citrate, Potassium citrate, Zinc, Thiamine, Vitamin B1, Sucralose (Non-nutritive sweetener), Sodium chloride, Natural colourants. What does buchu blast do for my kids? For growing little warriors. Stream Orange Burst has loads of B and D vitamins, is a significant source of vitamins A and C and contains zinc – all for your child’s mental performance, energy metabolism, bone development & immune system. B vitamins help the body’s cells effectively burn carbohydrates, fats and proteins to ensure sustained energy yielding metabolism. Natural mineral water, Isomalt, Citric acid, Flavouring, Sucralose (Non-nutritive sweetener), Ascorbic acid (Vitamin C), Zinc, Nicotinic acid (Vitamin B3), Pyridoxine (Vitamin B6), Thiamine (Vitamin B1), Folic acid (Vitamin B9), Vitamin A, Vitamin D, Cobalamin (Vitamin B12), Natural colourants. What does orange burst do for my kids? For growing space travelers. Stream Pineapple Zing contains essential nutrients like Zinc and Vitamins B5, A & D that help the body effectively use building blocks for normal growth and development. A premix of green tea and grape seed extracts and astaxanthin. Antioxidants are used for fight damaging particles in the body known as free radicals. Promotes the absorption of calcium and phosphates needed for the normal mineralisation of bone and bone growth. Activates ‘soldier’ cells in the immune system. Needed for the catalytic activity of 100 enzymes and is used for its role in protein synthesis, wound healing and immune function. Zinc also supports normal growth and development in childhood. Natural mineral water, Isomalt, Citric acid, Antioxidant premix (Green tea extract, Grape seed extract, Astaxanthin), Sucralose (Non-nutritive sweetener), Zinc, Flavouring, Vitamin A, Vitamin D, Natural colourants. What does pineapple zing do for my kids? For all the cool kids who need extra protective armour. Stream Rooibos Rush contains vitamins A, C & E that work to ensure healthy development of muscles, tendons and bones. 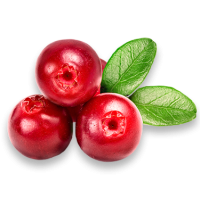 It also supports their immune system and offers antioxidants to fight free radicals, giving kids strong defence systems and extra playing power. Natural mineral water, Isomalt, Vitamin premix (Contains: Vitamins A, C, E), Vitamin D, Rooibos extract, Cranberry extract, Flavouring, Citric acid, Sucralose (Non-nutritive sweetener), Natural colourants. 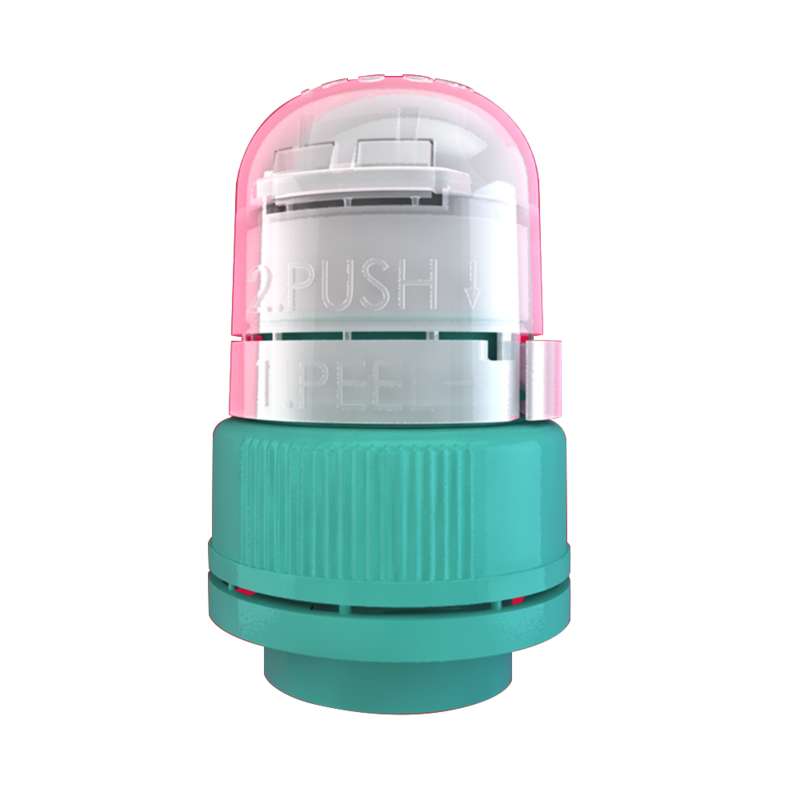 What does rooibos rush do for my kids? Extra strength for bright eyed kids. Stream Strawberry Splash is a very high source of vitamins and phytonutrients to support your child’s brain development, strengthen muscles and bones and enhance immunity. Natural mineral water, Isomalt, Vitamin C, Zinc, Vitamin A, Vitamin D, Flavouring, Citric acid, Sucralose (Non-nutritive sweetener), Natural colourants. What does strawberry splash do for my kids? We know this is the part you usually skip over but this research actually gives you information you’ll want to know. We’ve told you all about our awesome products but how do you know you can actually trust what we’re promising? 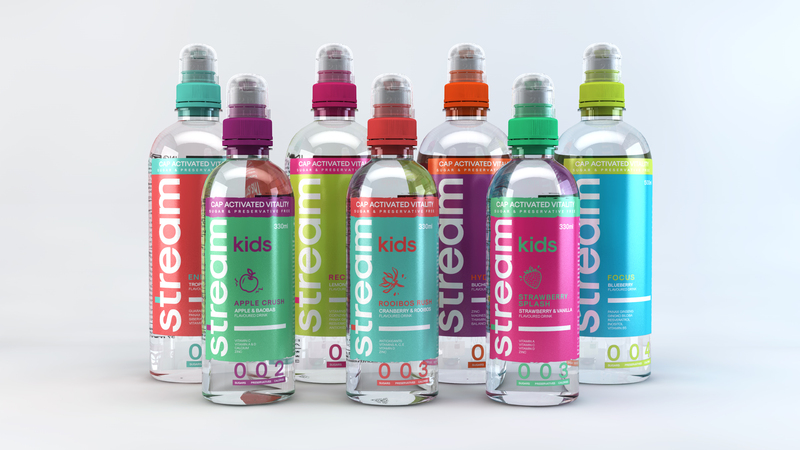 Read all the important facts about our mineral water, cap technology, the doctor behind our healthy drink and the reasons why you should trust Stream™.